Frugal Motoring – Should I buy a hybrid? In Frugal Motoring I discuss how I run cheap cars, the pros and cons for various purchasing methods (straight up cash, loan, PCP, lease), diesel vs petrol vs hybrid vs electric, ongoing political/ government motoring related machinations and how to keep your car running. Here I’ll look at the pros and cons of hybrid cars, some of the history and some worked costings. Which hybrids am I talking about? Hybrid vehicles have been around for as long as there has been motorised transport. Petrol-electric hybrid trams were first patented in 1889 (1). 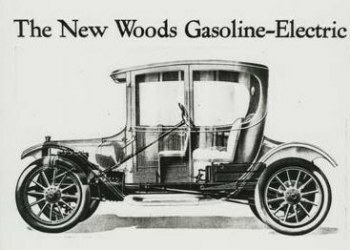 The Woods “Dual Power” of 1915 used a combined system of electric motor below 15mph and petrol engine up to it’s max of 35mph, which also charged on-board batteries. Just like a modern Prius (1). It was a commercial failure, as were most attempts at developing electric vehicles up until the turn of the century. Batteries could not provide the range, speed or flexibility required for most users. The energy density of petrol outstripped conventional batteries. Rural communities lacked an electricity grid, and oil-based fuels were much more portable. The idea was ahead of the technology. Lots of companies toyed with electric vehicles, including AMC (developing regenerative breaking systems for the failed Amitron) and Audi (the Audi Duo, a plug-in parallel hybrid 100 Avant quattro), BMW (CVT hybrid-electric E34) and Volvo (with a gas-turbine hybrid 850/S80) (2, 3). It was Toyota with the Prius and Honda with the Insight that were the first mass-produced hybrids, using the trusty petrol engine as backup. Battery technology and the focus on reducing emissions has pushed the pace of change, and since the turn of the century hybrids have begun to become mainstream (1). A bit of a weird halfway house where the petrol (or diesel) engine is the main driving force, and an electric motor replaces the starter and alternator to provide a boost when accelerating and battery regeneration when breaking. The more powerful electric motor also allows the engine to turn off when coasting or when stopped, as part of stop-start emissions technology (5). The electric motor can’t propel the vehicle on it’s own, and systems are generally at a lower voltage. This is a route taken by most US and European marques, including the Mercedes, BMW, Audi and Peugeot, and allows for greater fuel efficiency with little change to drivetrain structure (5). In some ways the simplest design, a series hybrid attaches a fuel-burning engine to the batteries or electric motors. Electric motors provide the drivetrain and motion, and the petrol engine is there to top up the batteries or provide the electricity. This system allows the engine to run continuously at peak efficiency, but requires large batteries and motors to provide sufficient power (6). A clever idea and a solution to range anxiety for those with city cars that occasionally need rural jaunts. Because of the larger motors and batteries they tend to be more expensive, and aren’t really mainstream. The only one I can think of is the BMW I3 REX (Range-extender), which was discontinued (7). Make your own by connecting a diesel generator to an electric milk float. Here the electric motor and/or the petrol engine power the vehicle by being mated to a combined drivetrain, increasing complexity and potential drivetrain losses, but decreasing energy conversion losses. Here the high-torque nature of electric motors are often used for stop-start, with the petrol/ diesel engine providing the higher power required at higher speeds. The combination means smaller motors and batteries can be used, reducing costs while increasing efficiency. Regenerative breaking recoups the battery losses, with further recharging from the petrol engine’s alternator (4, 6). The logical next step in development was to combine these two systems (6, 8). This is what Toyota did with the Hybrid Synergy Drive in the Prius, and what is now found in most hybrid systems (9). In it’s simplest form the transmission is set up so that two modes of driving are available; an electric motor only for low speeds, and a petrol engine for higher speeds that also recharges the batteries at high RPM cruising. In some applications the electric motor is used to provide a power boost at high speeds, and the electric motor can act as a generator through regenerative breaking. The use of more complex transmission systems allows for different proportions of electric motor power and petrol engine power to be used at different times. A further development is the use of engine designs and valve-timing maps in the petrol engine which alternate to the more fuel-efficient but less powerful Atkinson-Miller cycle (9). The final step in development was to add the ability to charge the batteries from the mains, rather than being solely dependent on the engine/ regen. These basically do what they say on the tin. They usually have a larger battery capable of 20-30 miles of range, with a mains connector enabling you to run them entirely on electric for short commutes, saving the petrol engine for fast or long journeys. Due to the larger (heavier) battery they can be less efficient than a pure EV or solely petrol car. Examples here are the hugely popular Mitsubishi Outlander (who basically nailed the market by providing eco-conscious chelsea-tractorists the first PHEV 4×4), plus newer Honda Accords, Chevy Volt and Hyundai Ioniq (10). Notice that this still subsidises cheap EVs, but not hybrids. The other tax benefits to mention for everyday users are that home electricity incurs only 5% VAT rather than the 20% on fuel (13). Company car users get further benefits when selecting a hybrid or pure electric vehicle, through benefit-in-kind (BIK) and various means. Rather than listing them all out here I’d recommend a read of the useful “Tax Benefits for ultra low emission vehicles” cribsheet from the Office for Low Emission Vehicles, and the comprehensive calculator at nextgreencar (14, 15). One of the reasons for this article is we’re deliberating replacing MrsShrink’s car with a hybrid or electric. We wanted to run the numbers to see if we could actually save money by replacing. We’d be buying second-hand which means we can navigate the tax system to our benefit with plenty of online guides to help, but for the purposes of this calculation I’ll also include some PCP options (16, 17, 18). The benefit of second-hand is that the 20% increase in new purchase price of a hybrid is mostly lost (although still present) due to depreciation (19). We’ve chosen to look at a new Hyundai Ioniq, a three-year old Mitsubishi Outlander, a six-year old Prius and an eight-year old CR-Z. The Ioniq is Whatcar’s 2019 hybrid car of the year, coming with a five-year warranty and looking super sleek and futuristic (20). For the purposes of this calculation I’ve used PCP (it’s the cheapest, but read the reasons I hate PCP here) over two years, with a £3k deposit and 10,000 mile limit on the base model PHEV (cheapest) (21). My table includes Hyundai’s claimed 252mpg but I’ve used the real-world figure obtained when by a couple of different magazines who ran a long-term test Ioniq hybrid for MPG calculations (22, 23). CO2 emissions of 26g/km mean it’s tax free for the first year. A Hyundai yearly service is quoted at ~£130. The second contender is the Mitsubishi Outlander (24). The best-selling hybrid 4×4. Autotrader found me a 2016 PHEV model with 30k on the clock for a reasonable £260/month, again on PCP. Same £3k deposit. Mitsubishi claims between 139 (RDE2) and 156mpg depending on where you look, but again real road tests find it more like 40mpg average (25, 26). 46g/km of CO2 means free tax. A quick google finds people on car forums quoting £300 from Mitsubishi for a service. At 3 years old I’d hope the tyres would be ok, but we’ll throw in £30/month to cover a couple of replacements over the course of the year. Next is our old friend the Prius. 2013 models come in a range of prices depending on spec. Straight-up hybrids start about ~£9k, with around 80k on the clock, whilst PHEVs start at £14-15k. This time we’ll take a standard hybrid and purchase it outright with our £3k deposit and a £6k credit card at 0% interest, with the intention of paying back in 24 months. We would intend to own for five years, and so we’ll take a guestimate at residual values by looking at what an eleven-year old Prius currently costs; between £4-6k. If we say £5k then we’ve essentially paid £4k to own a car for five years. For the sums I’ve used the credit card £6k over two years, plus the sum of the final residual value minus the deposit over the five year ownership; i.e. (credit card/24) + ((residual value-deposit)/60). This simulates financing the depreciation (like PCP) and what you would need to save over five years to go from £3k to £5k deposit (without interest). Stated MPG for the Prius is 70.6mpg, but real world appears to be more like 55mpg (still bloody impressive) (27, 28, 29). Yearly servicing stands between £180 for a minor to £350 for a major (so we’ll call it £250). As a six year old car I’d expect higher consumables, so I’ll add £50/month to cover wear and tear repairs/ tyres etc. For a 2013 model the 92g/km of CO2 means free tax. The final contender is the Honda CR-Z, a quirky little coupe which was billed as the first hybrid sportscar (30). It’s a proper oddball, not as quick as it’s looks suggest, not big enough to be particularly usable for a family (31, 32). Made from 2010 to 2015, a 2011 model with 50-70k miles can be had for as little as £5.5k. We’ll take one of those for the maths, with £2.5 on a 0% credit card over two years. Residual is more difficult, but I’ll lowball an estimate of £2k after five years, losing £3.5k of value. Same formula for this as the Prius when calculating depreciation costs, just changed slightly to account for the drop of residual versus deposit. CO2 of 117g/km means a tax cost of £20/year. MPG is quoted at 56, but real world tests find it to be closer to 45-50 (a bit pants TBH) (33) Servicing is quoted at £200/year, and as an older car again I’d expect a bit more in terms of wear and tear although most places agree the build quality is high. The sums say it all. On paper, my cheap and cheerful petrol car has cost me less to run for four years than a new hybrid would. The old lump is not pretty, it’s not fancy and it’s more polluting, but it serves it’s purpose. Ignoring the depreciation costs I would still spend more than half what I do now to run a hybrid. The MPG and tax improvement is not significant enough to offset the purchase cost. Hybrids have two powertrains, they’re heavier than a car with one powertrain; they shoot themselves in the MPG foot. There are also concerns about the durability of batteries, although the number of Prius taxis with 250k miles under their belt seems to disprove this. The volume of EVs and hybrids sold continues to rise in the face of falling wider car demand (34). I think I’ll wait for further depreciation to bring hybrids into my price bracket, and we’ll have to see if they’re a technological dead-end to be overtaken by pure electric vehicles, or will remain as a market option in the future. Frugal Motoring – Should I buy a Petrol? In Frugal Motoring I discuss how to cheaply purchase cars, the pros and cons for various purchasing methods (straight up cash, loan, PCP, lease), diesel vs petrol vs hybrid vs electric, ongoing political/ government motoring related machinations and how to keep your car running. Here we’ll look at the pros and cons of Petrol cars. Up until Diesel-gate and the associated NOx emissions concerns, diesels were considered the environmentally-friendly option, the motoring posterboy for efficiency. As I’ve previously discussed, this was highly politically motivated. 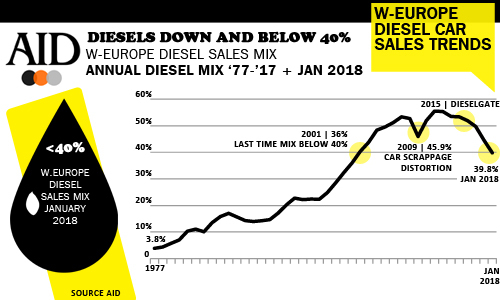 In artificial testing conditions used for published measurements diesel engines get better MPG, but petrols were never that far behind, and they’ve closed the gap. The ’91 Honda Civic VTEC-E would see 59mpg (1). The lean-burn 4A/7A-FE 1.8 petrol engines in turn of the century Toyota’s, favorite of mini-cabbers, would realistically see 45mpg in daily use, and up to 60 on a run (2). And then turbos became a thing. Mmmm… boost. Turbos not only increase power, but increase efficiency by increasing the stoichiometric ratio (the ratio of fuel/ air) so there is more oxygen available for complete combustion. Manufacturers moved away from 2+ litre engines, towards 1-1.8 litre forced induction (turbo-d and supercharged) engines in larger cars, and even dinkier 0.5-1.5 litre engines in small cars. With improved engine design and compound induction systems these engines produced the same power (bhp) as the older, bigger, dirtier engines (though commonly less torque). Manufacturers have also lopped off chambers and used harmonic balancers to return to the heady thrills of the 3-cylinder thrum. Fiat have even gone back to a 2-cylinder screamer (3). Marvellous. The most efficient petrol cars at the moment are 1l superminis, offering up to 80mpg (4). There have been issues with this progression. As mentioned these small petrols lack torque, and as such probably aren’t as fuel efficient in the real-world as on a bench test. Revving required for that 1.2 engine to lug your six-up Peugeot 3008 soft-roader off to Asda for the weekly shop (5). These engines are more complex, lighter weight and with tighter tolerances. To keep the engine in the peak powerband manufacturers are using six, seven or eight-ratio semi-automatic gearboxes. These are necessarily more complex. There are concerns about durability of both engines and gearboxes (6). A couple of conservative manufacturers (Mazda, Toyota) haven’t taken the turbo route. The lean-burn concept, where over-stoichiometric fuel/air ratios are used to ensure maximum combustion, has continued to be developed. Mazda (in the SkyActiv-G) pushing compression ratios up into the diesel cycle range to produce highly efficient engines (7). NOx is also kept to a minimum due to lower combustion temperatures (they say). Ultimately, diesels remain more efficient than petrols. Diesel is about 15% more energy dense by volume than petrol, and can be up to 40% more efficient in application (8). Using a worked example; a Ford Focus the 1.5TDCi runs 74.3mpg, whilst the 1.0 petrol will see 60.1mpg (9). At current average fuel prices of 128.9p for petrol and 137.1p for diesel over an average 10,000 miles a diesel driver would spend £838.86/year on fuel (10). The petrol driver will spend £975.03. As always, do your own sums. You’re paying more up front, and in some cases that front-loaded cost is not recouped over a five-year period. This is less of an issue for the frugal folks buying a car and running it for 20 years, or avoiding PCP, sticking to a bangernomics budget. Some of your initial outlay is also recouped at sale. Residuals for diesels have historically been higher, usually at least £500-£2500 more depending on the age of the vehicle (9, 12). This, in my opinion, is due to the increased fuel economy (offering a greater % saving at lower price points) and a perception of greater reliability (earned through very good historic reliability in the old direct injection, non common rail lumps). Modern common rail diesels fitted with dual-mass flywheels (DMFs), EGR valves and all manner of other devices may continue with the former, but will struggle with the latter. Watch out for rattly DMFs and leaky injectors. I wanted but didn’t buy a diesel version of my last car because it was £3000 for the diesel, and £2000 for the petrol. Once you get into super-bangernomics <£500 territory I would argue you will struggle to find a diesel that isn’t on it’s last legs. One of the reasons I believe residuals are going to equalise is incoming tax changes. As of April 2018 new tax changes came into effect, complication the law, and penalising diesel ownership. The full implications of these tax changes are detailed elsewhere, but essentially VED (car tax) continues to be calculated based on g/CO2/km, however the cost has gone up for each class, and by more for diesels (13, 14). The tax changes also cut the tax break on hybrids. Much was made of what is essentially a tax on diesels being successful. The end result is fewer people are buying diesels, and more are opting for small petrol cars (15, 16, 17). Despite new car sales falling, registrations of new petrol cars is increasing. Petrols are more attractive at the moment. They’re all getting banned anyway (18). Current targets are for no new diesel or petrol car sales by 2040. MPs are pushing for it to be 2032. You can bet the classic car community will push for there still to be a place on the UK’s roads for fuel-burners, but I’m sure the UK Gov will find a way to tax the daylights out of it and make it a pursuit for the wealthy. The petrol cars available today are a far cry from 10 years ago. Tax-changes and engine developments have made them as attractive a financial proposition as diesels. Efficiency will depend on your type of driving; if you’re a red-light racer or a relaxed pootler; if you do more stop-start town driving (where little petrols come into their own) or long runs (better for bigger sloggers). As usual do your own sums, but in the wait for cheap electric cars a petrol is worth considering. A return to the Frugal Motoring series, and a window into one of my side hobbies, Bangernomics. I could write a whole separate blog on Bangernomics, many do, but mainly I confine myself to esoteric forums tucked away in little niches of the internet. The term Bangernomics was first coined in 1989 by James Ruppert, the chief and foreman of the subsequent Bangernomics cult/ movement/ belief (1, 2). A motoring journalist, James found himself returning to the UK for a few days and at a loss for transport (2). After adding up potential public transport costs, he worked out it would be cheaper to buy a banger and run it (2). The subsequent press feature, titled “Better than walking” caught the eye of the public, and the movement ran from there (2). James Ruppert’s mantra here is “beware of the dog” (3). Avoiding hopeless sheds and going for the well-loved family cars at the bottom of their depreciation curve and with the curb appeal of steaming dog droppings. You have to be prepared to own and drive something which will make your friends’ and neighbours’ toes curl. Which is where I think the frugal, financial independence-minded community Venn diagram transects with Bangernomics. Many FIRE bloggers couldn’t give a flying monkey about keeping up with Jones’ in other respects, so why do they continue to with cars on PCP? But I know nothing about cars, what can I do? Happily, the Bangernomics community are really helpful in this regard. When I first started I adopted the opinion that I am of at least average intelligence, and therefore I should be able to learn how to fix and maintain a car. These are all useful skills. James Ruppert publishes a book on how to subscribe to Bangernomics (1, 3). He also maintains a series of free buying guides, a buying checklist, and a blog for advice (1, 3). For make and model specific guidance, other Bangernomics blogs have published their own buying guides, and people share their knowledge on the Bangernomics forum, as well as the more popular Pistonheads and RetroRides (4, 5, 6, 7). YouTube is an invaluable source, as many thousands of amateurs publish how-to guides. Not sure what to buy? There’s plenty of column inches and forum posts detailing peoples failures and successes. Some highlight their own experiences, listing successes and tips, others offer guidance on good target vehicles (2, 8, 9, 10, 11). My own experience has been tempered by a job requirement to appear respectable and not fail to turn up to work, so people don’t die. I’ve never spent more than £2k on a car, and average 12p/mile in cost over the life of my daily car for purchase price and maintenance. One memorable snotter was bought for £1k and survived 8 years and 80,000 miles of abuse. I also abuse Bangernomics a little by purchasing classics at the bottom of their depreciation curve, before they begin to appreciate as an investment. A little whistle stop, but hopefully a jump-off point for many. DIY car maintenance should not be a scary thing, and by avoiding it people miss an opportunity to save. Bangernomics offers the opportunity to learn some skills, save some money and tell some good stories, as long as you can put up with some graft, the odd breakdown and minimal social respect for your new whip. Next time on Frugal Motoring – Should I buy a petrol car? Frugal Motoring – Should I buy a diesel? Well, no, obv… Except yes? What started as a rant post, I shall turn into a mini-series. In Frugal Motoring I will discuss how to cheaply purchase cars, the pros and cons for various purchasing methods (straight up cash, loan, PCP, lease), ongoing political/ government motoring related machinations and how to keep your car running. This week I will discuss why and when you should purchase a diesel instead of a petrol. As discussed in the last Frugal Motoring post, diesels have a bad rep. Audi continues to push the slide into mediocrity with the recent news that even new build A6/A7 cars are affected (1). But this does not extend to all manufacturers. Many (Mazda/ Merc/ Ford/ Kia) continue to produce diesel vehicles with low emissions and good MPG. The diesel brush tars them unfairly, suggesting all manufacturers have ignored the NOx as particulate emissions problems. If we take a look at AutoExpresses list of best ‘green’ cars for 2018, there slap bang in the middle is a diesel Astra (2). While if we look at the website Next Green Car, there’s a huge raft of diesels with low emissions. It’s important to note as well that most of these are general family cars, not flash executive motors sporting the latest tech. The technology for low emissions has trickled down to the mainstream (3). Taxation is being increased on new cars, and some of the new rules will only affect future vehicles. Additionally, depending on emissions the extra taxation could be as little as £20/year, but are more likely to be around an extra £100-200/year for new low emissions models. Residuals for diesels remain strong but are expected to drop in the future with increased taxation. Governments decreasing taxation on diesels seems unlikely (4). When is diesel a good thing? Diesel engines continue to offer generally better MPG when running at moderate RPM for long periods. So if you’re doing lots of long distance journeys diesel is probably best. Diesel also offers better torque at low RPM. This means if you are regularly making long journeys or towing then diesel is a better fuel choice. But it’s worth remembering most of these efficiencies rely upon turbos being spooled up, engines being warm and DPFs operating properly. Short journeys will kill Diesel Particulate Filters, and by nature most diesel engines will struggle to get up operating temperatures doing stop-start work in traffic. Around town this will also mean more invisible pollution for local pedestrians and residents. Diesels also generally continue to cost more to purchase. This means that unless you’re doing starship mileage you may not save on fuel cost what you initially paid out extra in engine choice. Most buyers will only see a diesel recouping it’s cost after 6-7 years. The new taxation system is set to worsen this. If you think this fits you, consider that new diesels will be cheaper to tax and more efficient, but will have a payback time calculation to make. Second hand with have less of this payback due to depreciation, but will be taxed more. Both may see a future drop in residuals. As with all big purchases think carefully about your requirements before buying. The adage goes that you should write about what you know. While I continue to learn about investing I’ll blog about frugal motoring. In the last few months there’s been lots in the news about diesel cars. Since ‘diesel-gate’ (what will it take for lazy journalists to stop adding -gate to things? Door-gate? Gates-gate?) their social popularity stock has been in free fall. Suddenly they’re very out of fashion, and the Daily Mail warns us that many nuns and kittens will die if you buy a diesel. Should you be concerned? The rise of diesel cars as a proportion of total sold really took off in the ’90s and early ’00s. Prior to this diesel engines were the preserve of commercial vehicles; loud, clattery, generally large displacement and utilised for their torque curve. In the late 1980s and early 90s manufacturers began to make smaller displacement, less tractor-ish engines. This was largely possible due to a spread of direct injection and common rail technology, bringing more refined efficient running. These found their way into a wider variety of cars including corporate high end models. Engines like the Peugeot XUD, VAG 1z/ AHU/ AAZ/ PD and Mercedes OM60x series spread the word. Reps doing mega-mileage sang the praises of the fuel efficiencies and reliability of these donks. Diesel had it’s golden age. Emissions concerns in the 00s pushed manufacturers to reduce harmful large particulate output (the old diesel smokers) while at the same time increasing efficiencies. Turbos, diesel particulate filters (DPF) and exhaust gas recirculation (EGR) were born. Diesel engines spread across consumer car ranges and people were seduced by their quoted MPG figures (leading to low tax brackets). The combination of emission controls and the spread across consumer car ranges lead to people using diesel cars who previously wouldn’t. Cars got heavier due to increased safety features all while tax incentives towards high efficiency vehicles continued this push. It was now people doing 5,000 miles/year as well as those doing 50,000, and so issues began. Engines were built for higher combustion pressure using tighter tolerances. Diesel engines are more efficient when up to temperature, and EGR/ DPF function best with long duration moderate RPM runs. The short distance, short duration journeys of those moving from little petrol cars to little diesel cars couldn’t produce the sustained RPMs required. Oil barely had time to warm up and lubricate the tight tolerances. People began to complain that their cars were not as efficient as expected, or not as reliable, or were doing DPF regen too frequently. Clouds gathered on the horizon. It became difficult to develop engines that could meet the power/ weight/ efficiency/ emissions demands of the population and government with current technology. Some manufacturers built engines with tight tolerances that met standards at the expense of reliability (see Renault/ Nissan’s DCI). Others reduced displacement, upped boost pressure or used AdBlue (urea injected into the exhaust system, made from pig urine). VAG clocked that international emissions testing systems were always run a certain way, and therefore developed a programme in the cars ECU to detect when the car was being tested and tune for emissions at the detriment of performance. They were found out, and how the hysterical tabloids shrieked with indignation. Imagine that, a large corporation finding a way round government law and not telling the public! At the same time scientists began to measure and report the elevated toxic levels of NOx and very fine particles that the new diesel engines chucked out. Those new diesels weren’t so clean after all, they had just changed from visible smoke to tiny invisible particles. A tipping point was reached. That brings us to now. The government, ever the one to follow the will of the people (shriek of The Sun/ Mail), has started to roll out new rules. Among these include that any Engine Management Light on, removal of Diesel Particulate Filter or Exhaust Gas Recirculation will be a fail come MOT time. This affects all car owners, but particularly diesel owners, where second hand owners replace or remove DPFs/ EGRs in pursuit of better reliability/ fuel economy (1). At the same time, the recognition of the other harmful exhaust gases has caused taxes and ultra low emissions zones to target diesel drivers (2). I applaud the manufacturers who have managed to meet required standards. The technology (in it’s infancy 10 years ago) has matured and it is possible to have highly efficient diesels that haven’t bent the rules. Diesel is an excellent fuel for efficiency and torque. Three points here. First the obvious. It will cost more to own a diesel car as tax classes change in the future. You may get stung with a hefty bill when you go for an MOT and find out that secondhand BMW 116d is missing it’s DPF. Manufacturers are also changing engines to make them meet new emissions standards, but in some cases this is worsening performance or MPG. Many new diesels aren’t meeting advertised MPGs in real world environments as the listed MPG figure is from a rosy scenario. Additionally, you may have received a letter from the manufacturer asking you to bring your car in for a ‘fix’. VAG are the big name for this. I would think very carefully before getting the ‘fix’. Pistonheads (the car forum for powerfully built company directors driving shiny cars in shiny suits) is full of very interesting threads documenting experiences with their ‘fixed’ cars (3). Second, broader, point is about the knock on effect on the UK economy. We may no longer be the British Leyland industrial powerhouse nation, but many thousands of jobs across the UK rely upon the motor industry. The UK retains a reputation for high-tech manufacturing. Many of the manufacturers who have done well out of the rise of diesels produce the cars and engines in the UK (4). The fall in demand has resulted in a fall in production volume, and jobs are being lost (5, 6, 7). It remains to be seen what will happen, but it’s unsettling to note the government not supporting manufacturers producing alternatives. Third and final point and the one I see less writing about; diesel residuals. For the past 5-10 years people have been buying diesels, lots on PCP or finance deals, expecting when they come to sell or hand back the car will be worth a certain amount. That amount may no longer be what was expected. For the owner it’s a painful lump to swallow. For finance companies with hundreds of diesel cars on file, it’s a much bigger financial black hole. More on this another day. I have a diesel, what should I do? You’ve just bought your Vauxhall Insignia CDTI using a bank loan. You do 20k a year chugging around motorways, and find the car comfortable. Check where you stand for MOT changes then drive your nice car. Diesels remain an excellent engine choice if you’re doing high mileage where the torque and MPG show. Soporific sensationalist journalism doesn’t change it’s utility. I continue to drive a 25 year old diesel. It’s loud, smelly, noisy and chucks out clouds of clag. It costs very little to service, very little to tax and can theoretically run on vegetable oils for maximum environmental offset. Car purchases will be the biggest lump sum spend after a property, so always analyse engine choices pre-purchase. 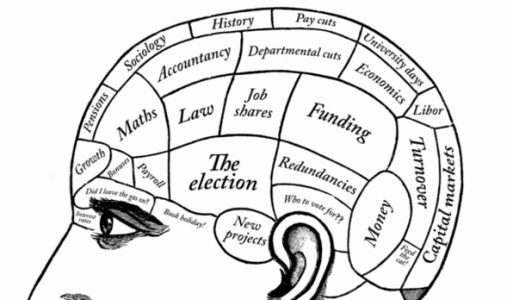 Don’t be swayed by government incentives which may change with the government’s mood.